Eerste van Swindenstraat is a vibrant shopping street in the Dapperbuurt neighbourhood. In 1990 it was decided to tackle the elongated, neglected façade along the north side of the street. In consultation with residents, a plan was drawn up for a variety of apartment types above a series of modern, flexible retail units. Moreover, the new design respects the distinctive streetscape of the nineteenth-century neighbourhood. Four blocks, with four levels of apartments above shops at ground level, are inserted into the existing urban fabric. Apartment entrances on the ground floor conflicted with the wish for spacious retail units that could be linked together. 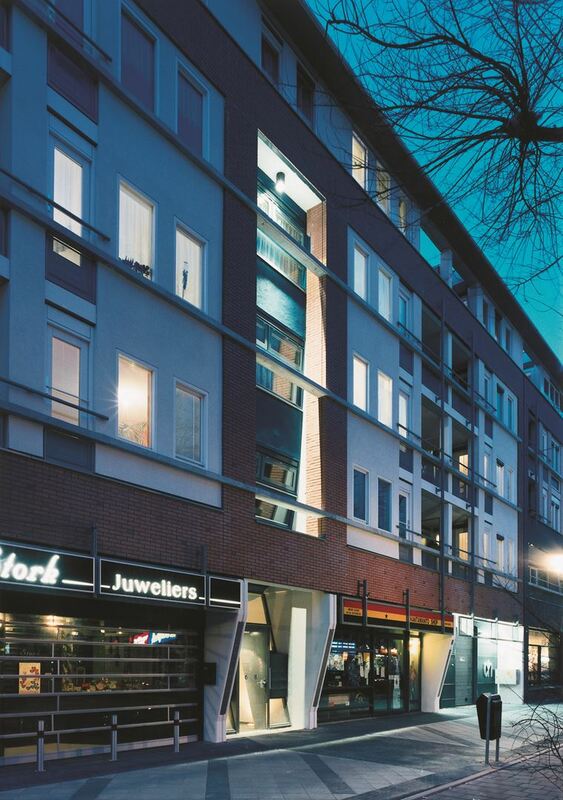 This is compensated for with shared entrance spaces that form eye-catching openings in the solid wall to the street. Guiding the movement from the street to the apartments, and connecting public and non-public space, are the most important themes in the design. 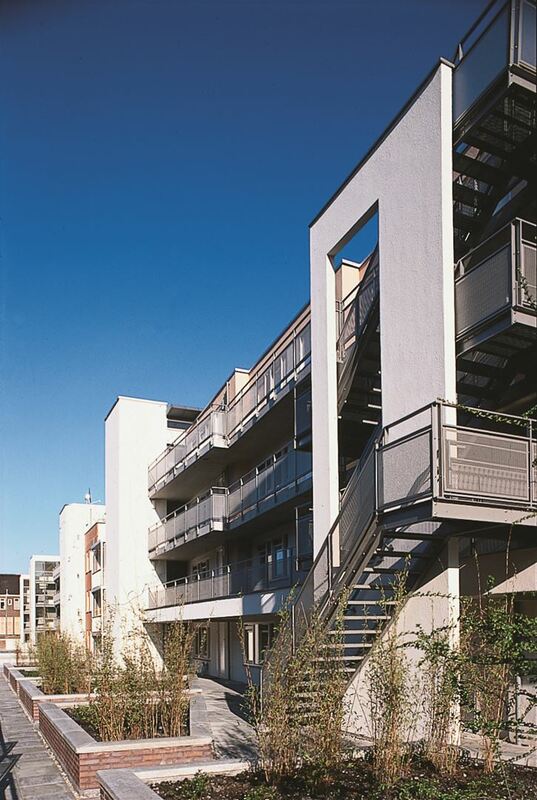 The entrances mark the transition from the vibrant street to the secluded apartments. 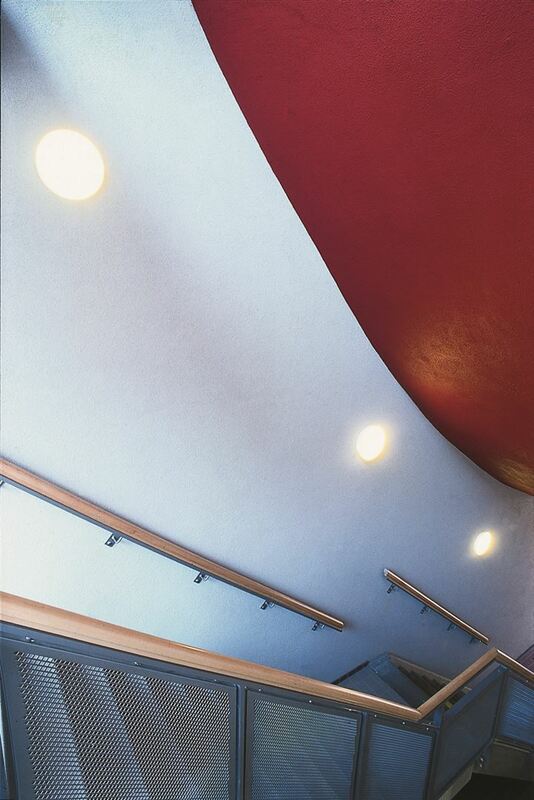 For each entrance, artist John Blake devised a separate colour palette and lighting design, which manipulate natural phenomena such as the incidence of light. 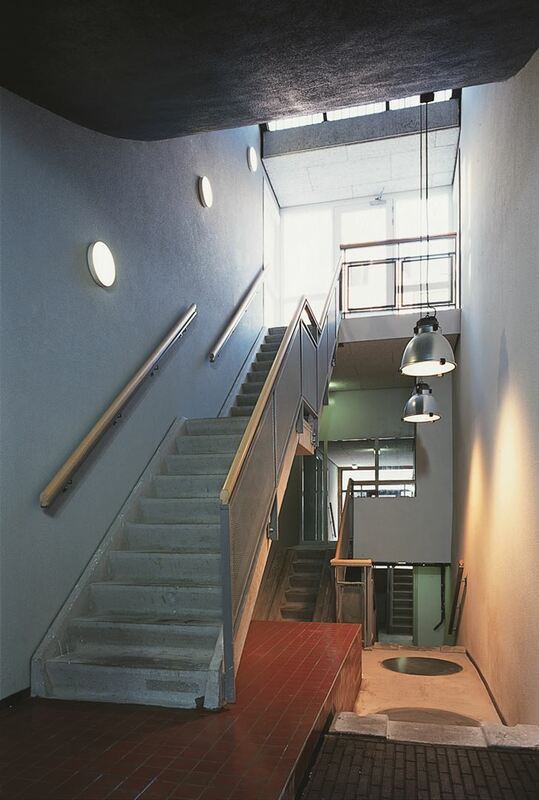 The rounded form of the staircase volumes lends these areas a spacious quality. 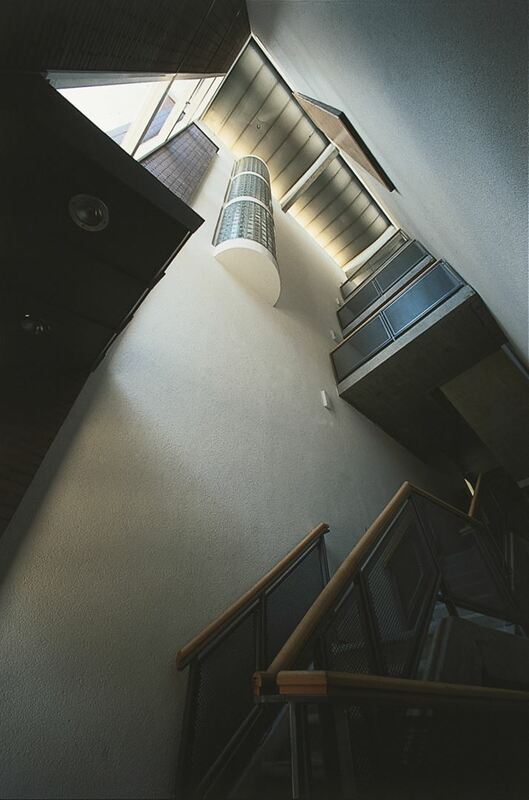 In addition, the curve accentuates the movement from light to light, from public to private, and from low to high, resulting in an exciting connection between private and public.